Jeff and Milicent served in many facets of local church ministry and short term missions before pastoring and planting churches in Texas. They resigned the pastorate to obey the call of God to, "like Abraham and Sarah, go out not knowing where." God has been faithful to lead them throughout the nations. Having been in over fifty countries, their predominant focus at this time is Europe and the Middle East. Parts of Asia, Africa, North and South America, as well as the islands of the seas are also calling. We are very thankful for all the pastors and leaders of Palestine Church. We have so appreciated all of their prayers and support. Thank you Pastor James Warren, Pastor Daniel Hennessee, and my son, Pastor Joel Collins, for continuing to lead Palestine Church. Milicent and I are so thankful for the years of covenant relationship with our Gateways Beyond Communities, and for their passion to prepare a people made ready for the Lord. Thank you for allowing us to be a part of an organization that loves and pursues the presence of God. You all are held close to our hearts as friends and brothers in Christ. Thank you, Juan Carlos Manzewitsch, Dr. Ricky Paris, Bill Byers, Steve Warriner, and also our extended MVI family in Mexico and Argentina. Thank you, Abundant Life, for the many years of joy and laughter. We so value our time spent in Nebraska with the leaders and pastors of the church. Thank you, Pastor Jason Warriner, P. Nathan Frew, P. Casey Nunnenkamp, P. Pablo Contreras, P. Corey Schneckloth, P. Jody Stamer, P. Hope Nelsen, P. Jenny Schneckloth, and P. Laura Hoseck. We love you all! Thank you, Joaquin & Renee Evans, for the many years of fellowship. We are so happy for you both on your new journey as Bethel Church Austin's senior leaders. We are always praying for you both and the family. 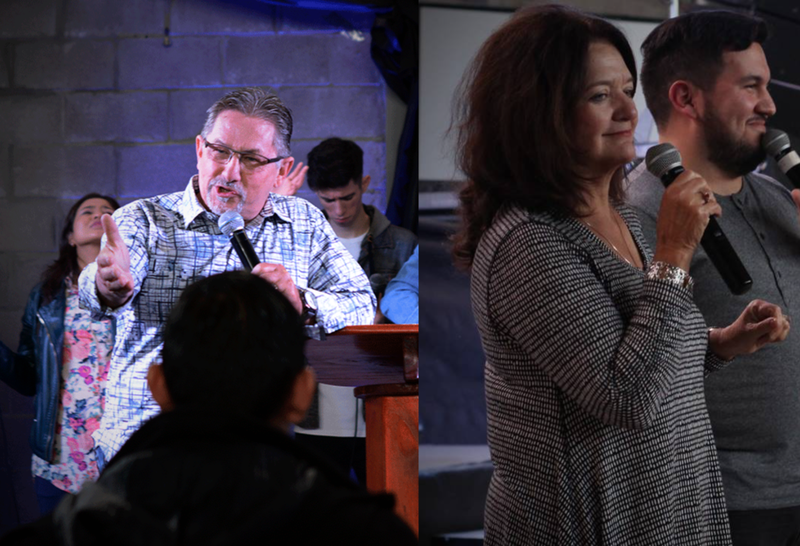 Thank you, Steve & Melanie, for the years of pouring out the Apostolic cry into different cities, regions, states, and nations. We love doing ministry with you both.